Good Monday morning to everyone, and welcome into yet another tremendous edition of the Daily Noontime! Let’s kick-start the day with some juicy headlines and news, enjoy! * In case you didn’t know, the New England Patriots are headed to Indianapolis, Indiana on Sunday, February 5 to face the New York “Football” Giants in Super Bowl XLVI. Who’s excited for the rematch? * Baltimore Ravens kicker Billy Cundiff missed a game-tying field goal, which would have forced overtime in the AFC Championship game on Sunday, but luckily it sailed wide left, and allowed the New England Patriots and their fans to experience euphoria at Gillette Stadium, as well as a 23-20 victory, too. Wide receiver Lee Evans missed what would have been the go-ahead touchdown on the same drive, but cornerback Sterling Moore striped the ball in the end zone, which resulted in an incomplete pass. * The Boston Bruins registered six goals, five in regulation, and one in the shootout to defeat the Philadelphia Flyers, 6-5. The Black and Gold will return to the ice on Tuesday when they travel to Washington to face the Capitals. * The Boston Celtics defeated the Washington Wizards on Sunday, 100-94. The Green and White will return to the hardwood on Monday evening when they host the Orlando Magic for a 7:30pm tip-off. The 2010-11 banner being raised! With 2011 slowly coming to a close, and 2012 right around the corner, it’s officially time to reflect on the past few months, and remember some significant moments that occurred with the Boston Bruins. Here are five memorable moments from the past year that’ll be inked in Bruins lore. Celebrating Lord Stanley’s Cup in Boston: To kick-start the NHL season, the Boston Bruins held their final championship celebration on the TD Garden ice in early October by reenacting their post-Game 7 festivities with their loyal and passionate fans. However, the Bruins weren’t able to play off their loyal supporters excitement, as the Philadelphia Flyers ruined their Stanley Cup homecoming with a 2-1 victory. Winning the Stanley Cup: There weren’t exactly too many believers who thought the Boston Bruins would defeat the Montreal Canadiens, Philadelphia Flyers and Tampa Bay Lighting, but somehow, the grownup bumble bees did it. Yet, against the Vancouver Canucks, the Bruins were forced to rally from a 3-2 series deficit to earn their first championship since 1972. Defeating the Canucks wasn’t exactly the easiest task, especially since Boston had to overcome Alex Burrows’ biting incident, Aaron Rome’s obnoxious hit against Nathan Horton, which led to a season ending concussion, as well as goaltender Roberto Luongo’s unnecessary words. Boston ignored Vancouver’s unruly behavior, and used their unruly behavior as motivation to win the series, and the cup. Nathan Horton’s Game Winning Goal Against Tampa Bay: During the finale of the Eastern Conference Championship, Nathan Horton became the hero, as he chipped in a pass from the far slot from David Krejci to secure the 1-0 victory. The win also marked the first time the Bruins had reached the Stanley Cup Finals since 1990. Avenging the Philadelphia Flyers: During the 2010 NHL playoffs, the Bruins secured an impressive 3-0 series lead against the Philadelphia Flyers. However, Philadelphia refused to go quietly, as they staged one the greatest comebacks in NHL history, as they rallied to win the final four games, which sent Boston packing for the summer. The Flyers then defeated the Canadiens in the Eastern Conference Finals, but then ended their epic championship chase against the Chicago Blackhawks, who defeated Philadelphia in six games. The Bruins and Flyers reunited in the second round again in 2011, but this time Boston made sure to not surrender a 3-0 lead, as they defeated Philadelphia in the fourth game of the series, and swept them out of the playoffs. Philadelphia hasn’t won a championship since defeating the Buffalo Sabres in 1975. Boston rallies to defeat Montreal in the Eastern Conference Quarter Finals: With the series tied, 2-2, Boston and Montreal skated onto the TD Garden ice for their fifth game of the series, which eventually became an instant classic five hours after the puck had been dropped. Both teams recorded only one goal in a span of 60-minutes, but then needed an additional period-and-half to decide the outcome. Andrew Ference rifled a shot from outside the far left circle in the Montreal zone, which was rebounded by Horton, and then immediately deposited by the right winger to secure Boston’s third win of the series, as well as the game winner in double overtime. The victory provided Boston with all sorts of momentum that helped the Black and Gold eventually defeat their archrival in the seventh game. Good Friday to all, and welcome into yet another tremendous rendition of the Daily Noontime! Here’s some headlines, and news to jump-start the day! 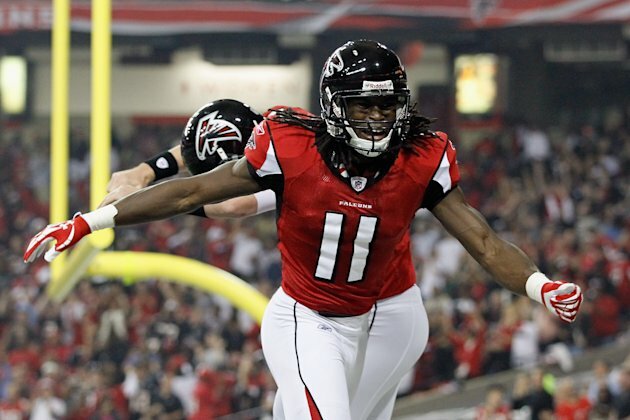 * Matt Ryan tossed three touchdowns on Thursday against the Jacksonville Jaguars on Thursday, which helped the Atlanta Falcons win their ninth game of the season, 41-14. * According to reports — former Dallas Cowboy and current Chicago Bears wide receiver Sam Hurd is expected to face drug charges1000 pounds of marijuana per week. * According to an article from the Denver Post, Broncos quarterback Tim Tebow has apparently inspired office workers and bosses to be a tad bit nicer these days. * The Chicago Cubs are heating up their interest in pursuing former Milwaukee Brewers first baseman Prince Fielder. * NHL.com has confirmed that Philadelphia Flyers defensemen Chris Pronger is expected to be out for the remainder of the season, as well as the playoffs too. Here’s another stupendous video about Tim Tebow, enjoy! It’s Thursday the 13th, but sadly, it’s not Friday – tear, tear! Here’s our latest edition of the Daily Noontime, enjoy! 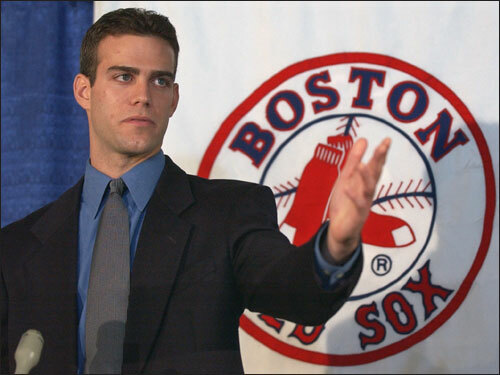 * The Chicago Cubs have indeed gotten their man, as former Boston Red Sox General Manager Theo Epstein will now be calling the shots in the Windy City. * The Texas Rangers recorded four runs during the 11th inning, and defeated the Detroit Tigers in Game Four of the ALCS, 7-3. * New York Giants safety Kenny Phillips was fined $20,000 by the NFL for his hit on Seattle Seahawks tight end Zach Miller last Sunday. * According to NFL.com – Seattle Seahawks head coach Pete Carroll apparently is very intrigued about possibly having LeBron James play football. * Red Sox designated hitter David Ortiz recently spoke with ESPN.com about Boston’s drama, as well as the possibility of joining the New York Yankees. Theo Epstein has officially left Fenway Park! Here’s an interesting reel from a local New England news station on Wednesday about the former General Manager and his departure! The Tigers defeated the Yankees on Thursday to advance to the ALCS! Alright, it’s officially Friday, which means the weekend is ready to start! Here’s the day’s headlines, news and more! * Despite losing in Detroit, the Tigers earned an impressive Game 5 win in the Bronx against the New York Yankees to clinch a spot in the American League Championship series against the Texas Rangers. * Game 5 of the National League Divisional Series between Arizona and Milwaukee is Friday evening, however some believe the Brewers should win, especially since they’ll be playing at home. * Game 5 of St.Louis-Philadelphia should be exciting, as Roy Halladay will oppose Chris Carpenter. * Once again, the New York Jets cornerback Antonio Cromartie is yapping at Tom Brady, but this time – he’s asked the quarterback to throw the ball his way. * The Boston Bruins celebrated their sixth Stanley Cup Championship on Thursday, but lost to the Philadelphia Flyers, 2-1. * The Miami Dolphins will have a new quarterback for the rest of the season, as Chad Henne opted for shoulder surgery and won’t return to the gridiron until most likely next season. These are your typical Red Sox fans!